Six Americans share their success stories after being unemployed for months. 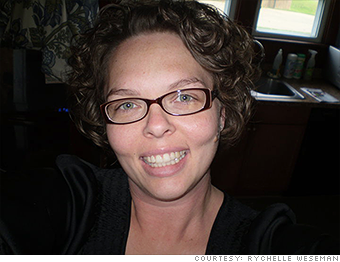 To the long-term unemployed, I want to say 'have hope.' I had lost that hope in December. After working in the education system for over 10 years as a school counselor, I was laid off in June 2013. I did all the right things: I went to college, got a master's degree, waited to start a family, purchased a house we could afford, and secured a job that not only gave me a sense of worth but was supposed to be one of the 'stable' jobs. My husband did the right thing too. He served our country as a U.S. Marine and works with the Federal Bureau of Prisons. Last year, we were hit with a blow that I never saw coming: I was laid off and he was part of the shutdown. I was very frightened for my family. Unfortunately, I live in a rural area, so I was limited in job opportunities. Over a six month period, I interviewed for about nine jobs, but they often boiled down to one thing: I was too qualified. Employers believed that the minute something better came along for me, that I would leave -- and they were probably correct in assuming so. In October, I applied for a job I saw in the newspaper in intensive case management for children and families. I didn't hear back for months, but was finally hired on March 10. It's a very rewarding job. You have to have a masters degree in special education, counseling or social work, and prior experience working with mentally disabled youth. I currently oversee 12 cases and visit each child four times a month. I link families with services and monitor their progress. I love it. If there's one job I've been working toward my entire career, it's this one. Financially, I had to take a significant pay cut, but that's the case any time you work in social services. I do this job because I like it. When I was on unemployment benefits, my family learned to pinch pennies -- that's for sure. Now, even with me having this job, I expect we're still going to live that way for a while. I don't think my husband and I will ever feel completely secure again.